A gritty, powerful debut that evokes The Outsiders. You won’t be able to look away. High-schooler Jason knows how to take a punch. Living with a drunk, abusive father will teach a kid that. He has also learned how to hit back, earning a reputation at school that ensures no one will mess with him. He just wants to survive his father long enough to turn 18, take his younger sister, Janie, and run away. Start life over. Then one day the leader of the in-crowd at school, Michael, offers to pay Jason fifty dollars per day to hang out with him. Jason figures Michael simply wants to be seen with someone with a tough-guy rep, and that kind of money will add up fast, making Jason’s escape plan a reality. Yet as Jason gets drawn deeper into Michael’s game, the money keeps flowing, but the stakes grow ever more dangerous. Soon even Jason’s fists and ability to think on his feet aren’t enough to keep his head above water. 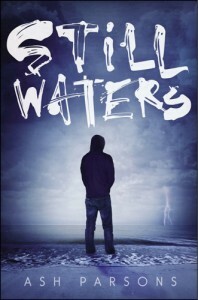 Still Waters is an intense, gritty thriller that pulls no punches—yet leaves you rooting for the tough guy. A powerful, dynamic debut. Set against a landscape of impossible choices, Still Waters is a story about hope and redemption that should not be missed.